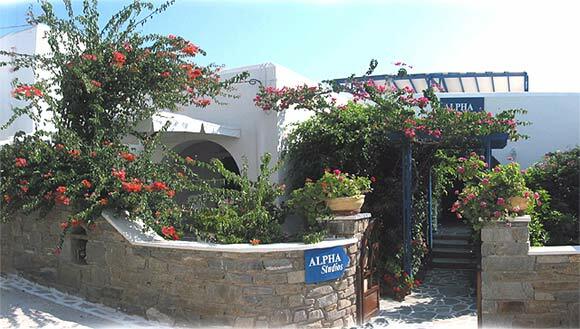 If you want to spend your holidays in a quiet place without being far from the center, ALPHA STUDIOS is the best choice. 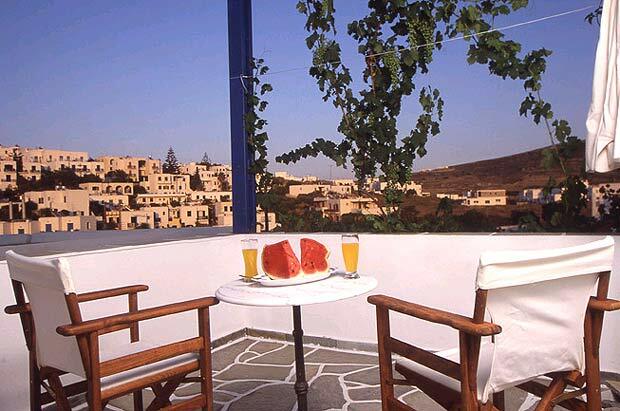 They are situated 3 minutes walk from Naoussa perched upon a hill, they still have the calmness and serenity you are seeking during summer time. 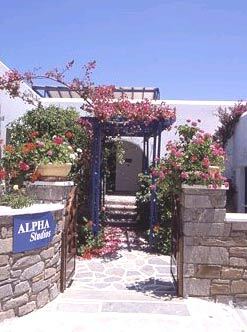 The Alpha Studios follow the insular architecture with white and blue colourings in the interior and exterior decoration. 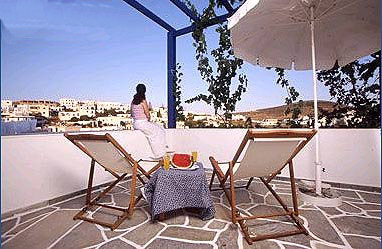 From the roof garden you can enjoy the incomparable view to the Aegean sea and Naoussa. 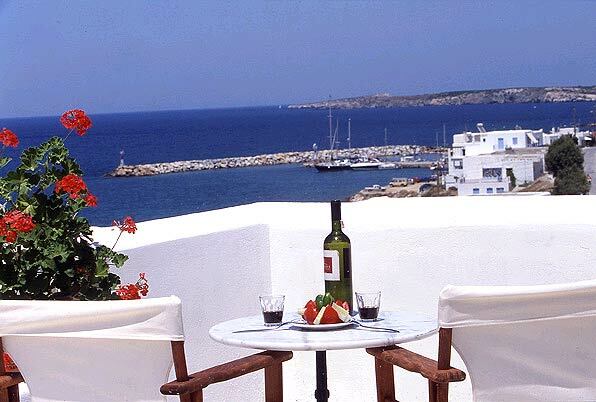 Or if you want some privacy, you can still enjoy the sea view from your balcony. 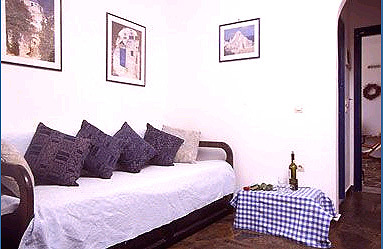 There are studios for two, three and four persons, as and two-room apartments for two. 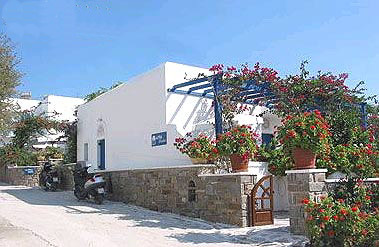 Each studio is autonomous and has its own entrance. All of them are equipped with air-conditioning, satellite TV, fully equipped kitchenette, private bathroom, direct dial telephone, toaster and coffee maker. There is fax service available at the reception area. 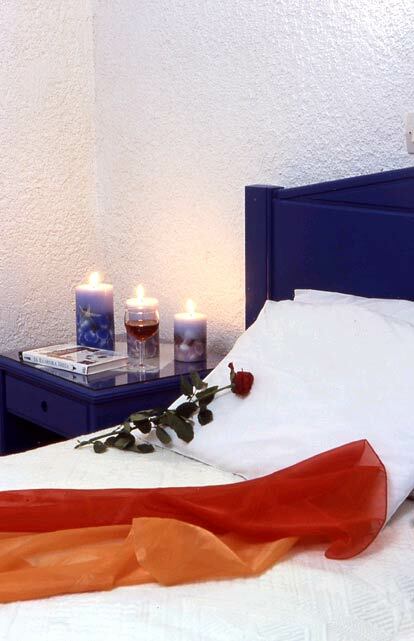 The friendly and hospitable personnel is at your disposal making your every wish come true. 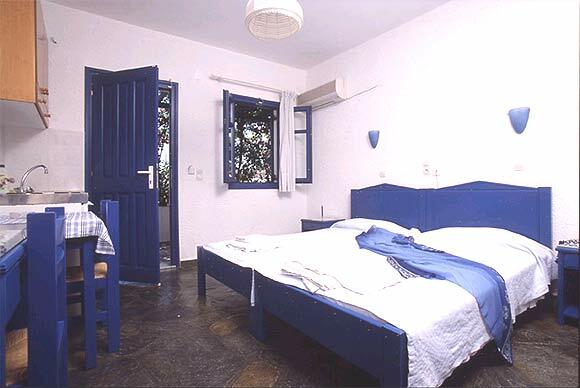 Here, you will get to know warm and open-hearted people that will be more than pleased to show you the meaning of Greek hospitality. The long, sandy beaches of Piperi & Piperaki are a few steps from the studios, while there is a bus station to the center and the airport. 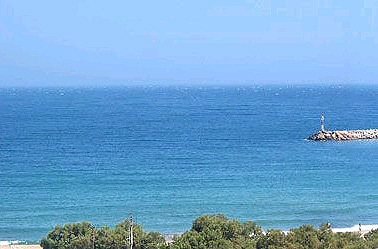 From Naoussa you can easily approach other famous beaches such as Kolibithres and Monastiri.